Social media has had a huge impact on how we shop for our clothes. One minute you could be scrolling through your Instagram feed or flicking through the digital copy of your favorite fashion magazine and the next, with one simple tap, you could be ordering one of the items that caught your eye. It is THAT easy to purchase clothing these days and while it is brilliant to have so much choice and is liberating to be able to shop wherever you are, at any time of the day, it’s a risky business. Many of us aren’t getting it right and are losing money (and confidence) in the process. I purchase most of my wardrobe online and have done for some time now. It’s partly due to the fact that the choice of shops is somewhat limited where I live, but it’s also because I love my British brands and, living in the USA, these are rarely available offline. I also offer online styling packages as part of my Personal Styling business so I have a ton of experience when it comes to shopping online, successfully. 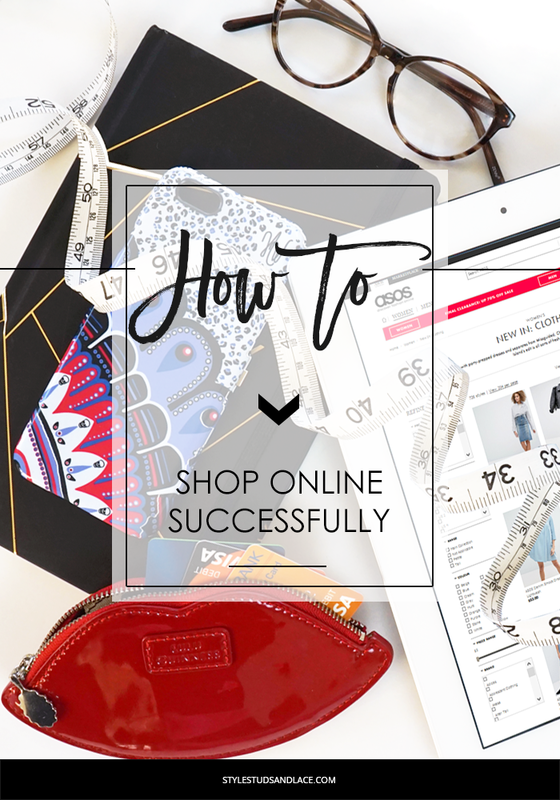 So if you’re looking for some guidance on shopping online like a pro, look no further. This article lists the pro’s and con’s to online shopping and shares 5 tips to getting it right. Retailers sometimes offer Web Exclusives -which are items and discounts that are only available to the online shopper. Clothes are often showcased on a person rather than hanging limply on a hanger which makes is easier to get a feel for what the item will look like on. Sometimes there’s even a video of a model strutting her stuff in the clothing which gives us an even more realistic view of the item. You can read other buyers reviews to give you an idea if the fit runs true to size, how it washes, and how it looks and feels in comparison to what it looks like on the screen. You’ll often be given suggestions for other items you might like, items that are similar to those you’ve already looked at and while I know this can be annoying, it can also be a great way to discover items you might otherwise have missed. Sometimes, shopping online is a sneaky way to get round stingy in store refund policies. There are a few stores (not many, and certainly not in the USA where returns policies are far more generous than in the UK) that won’t offer refunds on stock purchased in store. However, if you purchase an item online from the retails website, then often you are able to return the item to a store for a full refund if it’s not right. Yes, I know that this post is supposed to help you make purchases that don’t need to be returned, but there will be some instances when you will have to try an item on at home before you can decide if it’s right. You can’t feel the fabric so it can be difficult to know how an item will move or what it will feel like on. It’s very difficult to get an exact representation of the color, so you won’t really know what the color is like until it arrives on your doorstep. Some online stores are styled to perfection, so much so that when you receive your new clothing, you’re wondering if it’s the same item you saw online. Even with customer reviews it can be hard to gauge what size to go for without trying an item on. You’ll often find yourself paying extra for delivery. And if the item’s not right and you want to send it back there’s a chance you’ll be hit with a shipping fee to return it. Even if you’re not, you’ll still need to find time in the day to drop it off at a post office (although, some stores now offer free pick up which is bloody brilliant!). It’s very easy to purchase things you don’t really need. So how do you get round these? Know your fabrics. As you’re unable to feel the item it helps to have a basic understanding of different fabrics such as how they look and feel, and how they wear. If you think you might need a little help with this, you can download this printable. Make sure you read the buyer reviews if there are any. It’s a fantastic way to truly find out what product is like. Some sites encourage shoppers to share photos of themselves wearing the items they’ve purchased and I find this a great help as I can see what it looks like on a range of different body shapes and sizes, and get a little inspiration on how I might wear it. Get to know what the sizing is like in your favorite stores – some will run true to size, while other sill run smaller or larger than average. On top of that, you’ll find that some stores have a variety of collections which have slightly different sizing. For example, on of my favorite stores, Zara, has a few different collections – TRF, Woman and Collection. TRF runs on the small side, where as Collection is a little more generous. If you have this information at your fingertips, you’ll be able to make more informed decision when choosing what size to go for! Look for the size guide. 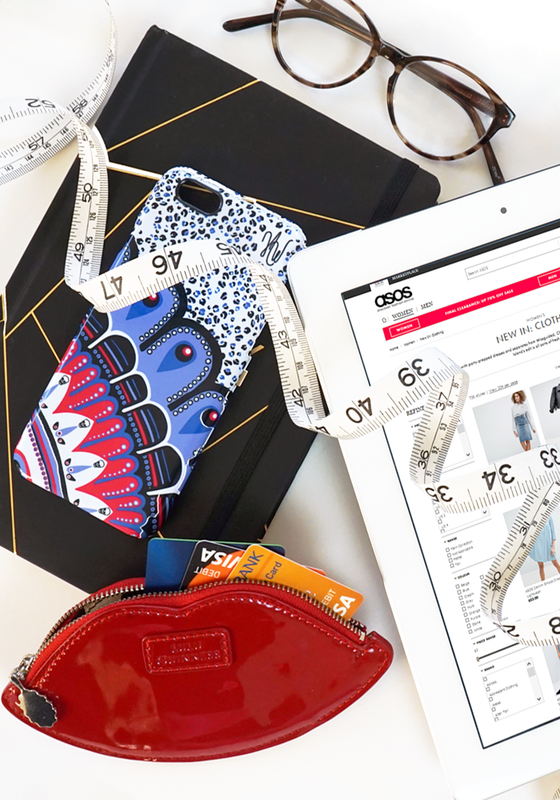 Almost all online retailers have a size guide to help you choose the right size for you, and some even have a guide for each brand they carry to further guide you towards the right size. Have a quick scan online for coupon codes before hitting ‘Pay now’ – I’ve often found discount codes for free shipping or 10% off. At the end of the day retailers don’t want you to return your purchases so are getting better and better at pointing you towards the right clothing, in the right size. So make sure you utilize all the help they offer. However, if you’re still not getting it right or don’t have the time for it, then let me help you! I offer a range of online shopping packages that will help you find the perfect pieces and save time doing it, just get in touch to find out more! Do you shop online much? How often do you find yourself having to return items? 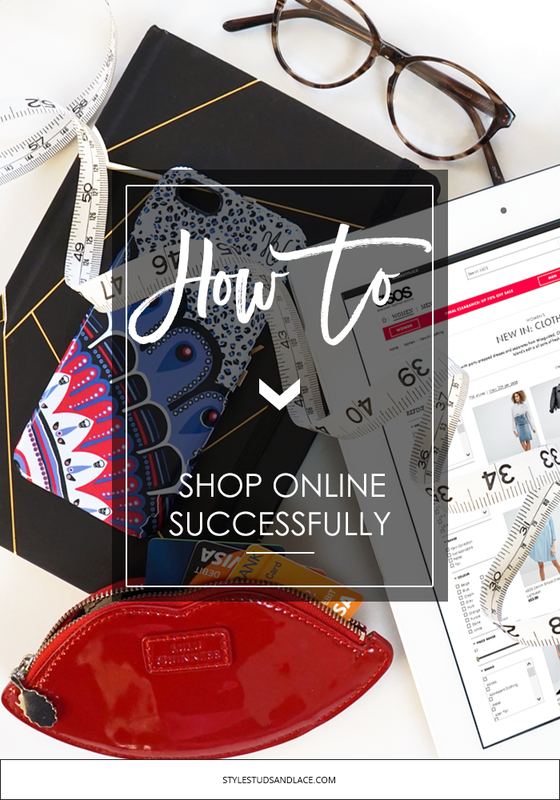 Maybe you’ve nailed online shopping?! As always, join in the conversation by commenting below…I love chatting with you guys!